There are some classical portraits of 6-year-old girl from Belarus, East Europe. 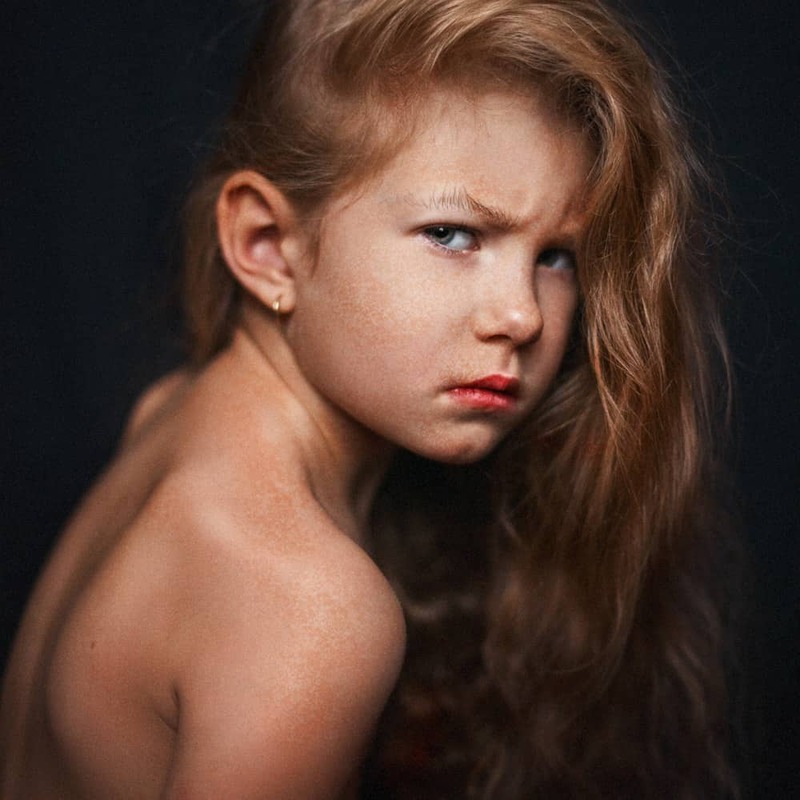 These photos show child’s facial emotions, her feelings and pure beauty. As usual, children are free in their poses, smiles and good or bad mood, so I’ve tried to express all of these in the photos. One day I realized I hadn’t enough my 6-year-old daughter’s photos. So, I had to change that situation. My daughter didn’t go to her kindergarten that morning and we started our photo shoot. I bought 3 meters of black and 1 meter of grey textile. This textile became the background of photos about my little belarusian girl. I use only sunlight from the window. As usually, in Belarus the dull sky – is an ordinary sky, so the sunlight – is very soft and beautiful. The idea of this project was the emotions. I wanted to reach emotional close-up portraits of my daughter, that could show her facial expression. For photo shoot I used my Nikon d700 and lense Nikon 50mm f/1.4G AF-S Nikkor. This lense – is my most useful and favorite lense, that give me the maximum freedom for my creation. For postproduction I used Adobe Lightroom and Adobe Photoshop. I hope, people like this project because of classical composition, nice light and, of course, children emotions. The kid’s innocence and spontaneity are the main emphasis of series. Very simple conditions for photoshoot can help other people realise they can make portraits even without photostudio having only nice model and good light. I’m Tatsiana Tsyhanova. I was born in Minsk, the capital city of Republic Belarus 38 years ago. I have bachelor degree in pedagogy and designer education. I work as freelance photographer and illustrator. Since my childhood photos and illustrations are the best way to show my feelings and emotions.